After 28 days trading my current wealth is 4.6bn ISK (details at the bottom of this post). The weekend was good. I am now starting to find almost 1bn isk in my wallet when i log in. I transport the items from Jita to Dodixie using courier contracts. i pay 7.5m for 500m collateral and 10m for 1bn collateral. Also, the cargo space required is typically 5m only. When i look at other courier contracts on the market - i am paying generous fees but i value speed above saving a few million isk on a courier contract. Hence, i find that the items are couriered to me within a few hours. As my wealth rises i am focusing on higher value items. I don't want to be making 2m isk profits when my wealth is 4.6bn. Hence, today i am selling items worth over 100m isk for the higher of a minimum of 30m isk profit or 20% profit. So, as the smaller items sell i am not replacing them with new sell orders any more. This is a big difference to a few years ago when i first started out - back then i was continuing to sell these low value / steady profit items. But today, i am being more ruthless and abandoning them as their profit stream no longer moves the dials on my wealth. Will i be able to plex the account? No, not this month. I would need to liquidate 2bn isk in the next 2 days. Perhaps that is possible but would leave me with 2.6bn isk left on the market. Not ideal. Hence, for now, i will pay another month's subs. one day, i might give it a shot. nothing planned in the near future though. Croda, that is a rally impressive amount of funds you have generated in a small period of time. I figure that is all you are concentrating on when in game (ie no ratting or pvp etc). I followed you previous entries too and it shows what can actually be done... good work. May I ask, does your actual day job give you the knowledge to do this within EvE? yep, i dont rat etc. I log on and update orders, buy from Jita and organize courier contracts. I sometimes leave the game running in the back ground if i am working in my study. My day job is in investments so that may give me some sort of an edge - but i suspect not too much. 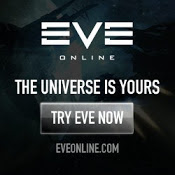 The Eve economy is very old style - think 17th century.